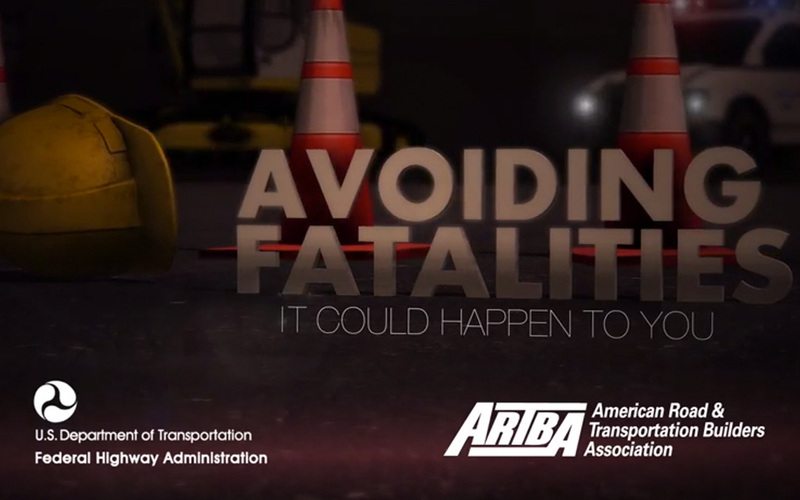 ARTBA’s Transportation Development Foundation (ARTBA-TDF) has created a series of new videos aimed at helping reduce roadway work zone accidents and saving lives. Each three-minute animated video is based on federal government reviews of real incidents that resulted in the loss of life. On average, more than 100 highway construction and maintenance workers are killed on the job annually. The videos focus on a major cause of those deaths: workers by being run over by vehicles entering the construction area from the adjoining roadway, or by trucks and other heavy equipment strikes within the work zone. “These case studies are very effective in communicating the importance of jobsite safety when talking with workers and managers. Because they are based on actual events, viewers better understand the consequences of their actions,” said ARTBA Senior Vice President of Safety and Education Brad Sant. Eight videos are available on the ARTBA-TDF’s “National Work Zone Safety Information Clearinghouse” website. While the videos can be helpful if watched alone, Sant noted they are best viewed in group training sessions with a master safety instructor, such as those offered though the ARTBA-TDF’s award-winning programs. In this setting, the videos can be paused to allow for helpful discussion about how to control or eliminate risk. The videos were made to highlight the National Institute for Occupational Safety and Health (NIOSH) Fatality Assessment and Control Evaluation (FACE) Program, which aims to prevent workplace deaths. NIOSH is part of the Centers for Disease Control and Prevention. More videos covering other causes of death and injury in the transportation construction industry will be added later to the National Work Zone Safety Information Clearinghouse. Industry firms and public agencies interested in receiving training from ARTBA’s team of safety experts should contact Brad Sant at bsant@artba.org or 202.89.4434.